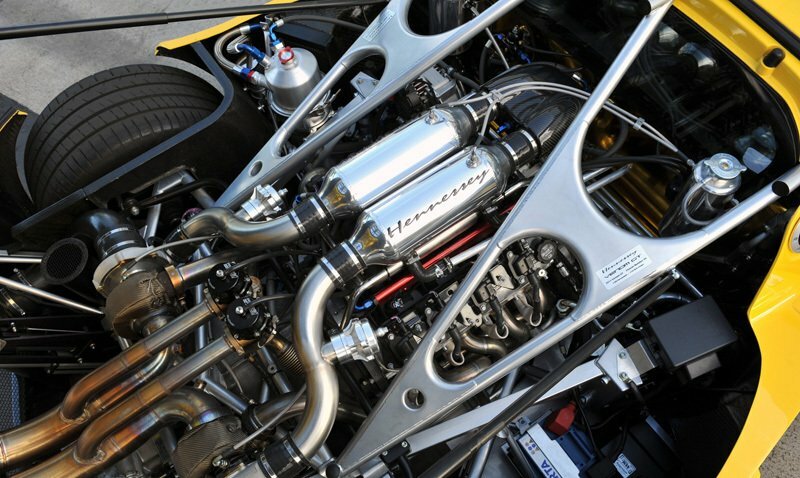 Hennessey Performance Engineering is tops in modifying engines. They can take an ultra sleek super automobile, and push it towards perfection. With Hennessey you can experience the best of the best. At first glance, the Venom GT looks like the Lotus Exige. The Venom is an explosive fusion of British flair and American power. 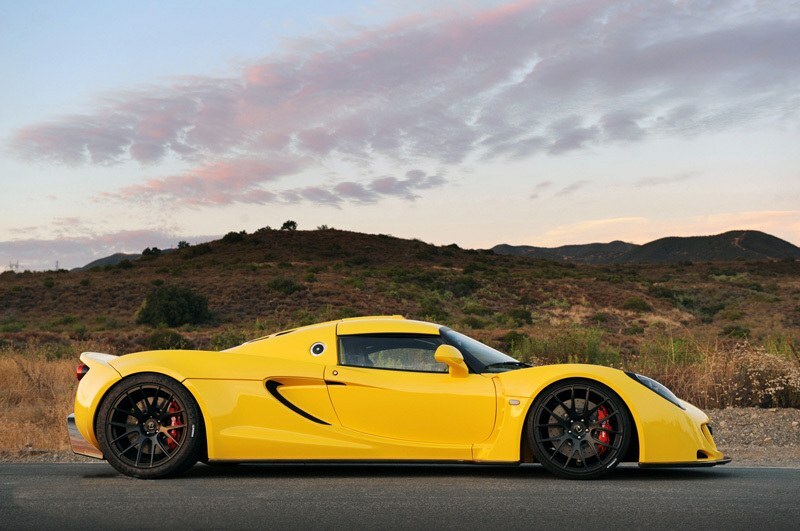 The 2011 Hennessey Venom GT received a make-over. The exterior design looks like it comes out of Bruce Wayneâ€™s or Tony Starks garage, but the carâ€™s road power makes it a superhero in itself. The Hennessey Venom GT has for an engine a 6.2-liter LS9 twin-turbo V-8, similar to the engine on the Chevrolet Corvette ZR1 one of the fastest production cars released. Airflow management was initially done on CAD. They used it to simulate airflow to improve the engine and body design. The hood of the car cannot be accessed, although it contains two radiators with fans that help maintain the engine cool. Hennessey stresses the idea that the cooler the engine, the more horsepower you get. The car is offered in a mid-engine rear drive power-train with horsepower ranging from 725 to 1200. The drive train is provided by a Ricardo 6 speed transmission. The shifter is patterned after the Lotus, but upcoming models will see a switch to the Ford GT styled shifter. Rumors abound that the Hennessey Venom GT has either tied or broken the record of the Bugatti Veyron Super Sports record of 267 mph. We have yet to hear from reliable sources to make the record official. The size of the Venom GT is smidge bigger than the Lotus Exige. 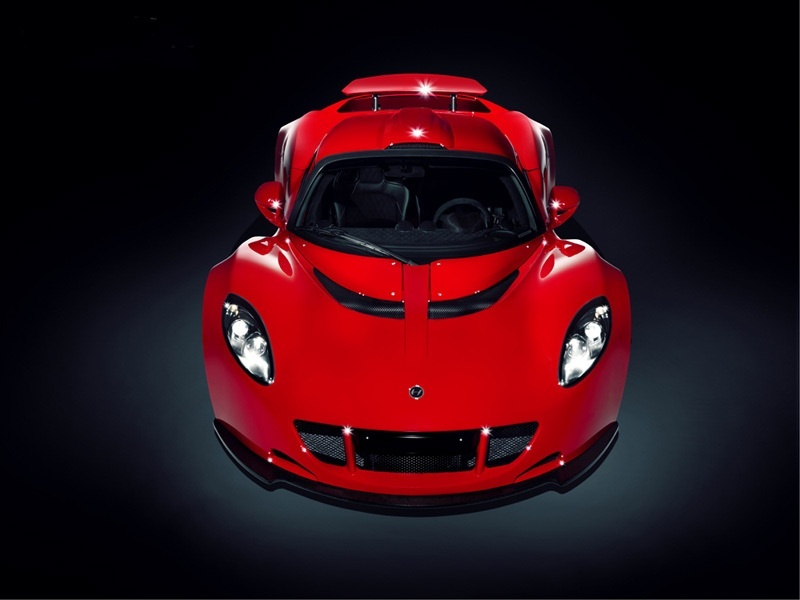 The Hennessey Venom GT retains the Exigeâ€™s lightweight stylings. The carbon fiber material used on the Venom GT contributes to its lightweight physique. The math is easy: less weight is equivalent to better performance. Founder John Hennessey said that what he wanted to make was a car that all about performance, he didnâ€™t want to worry about interior stylingâ€™s. Most of the cars weight is the engine. The Hennessey Venom GT was built from scratch putting in the best components from brains to brawn of American engineering. The adjustable rear wing provides added aerodynamic performance when needed. The body is built to withstand force produced by vehicles that produce 1500 horsepower or more. The wheels are equipped with brake calipers made by Brembo which provide excellent traction control. Test drivers have commented that the chassis is rigid but firm, making the ride smooth and easy on the body. The smooth response of the Venom after making turns make the transition easy on both the vehicle and driver, it just helps prove it to be just as advertised, a supercar. Currently, the new Venom GT has yet to be given permission to be driven on US streets and highways. Most of the testing and showing of this car have been across the pond in the UK. The simplicity of the interior is just that, it contains the necessary instrumentation accessories to ride the Venom GT with confidence. The Venom has a built-in roll cage providing protection to both driver and passenger. 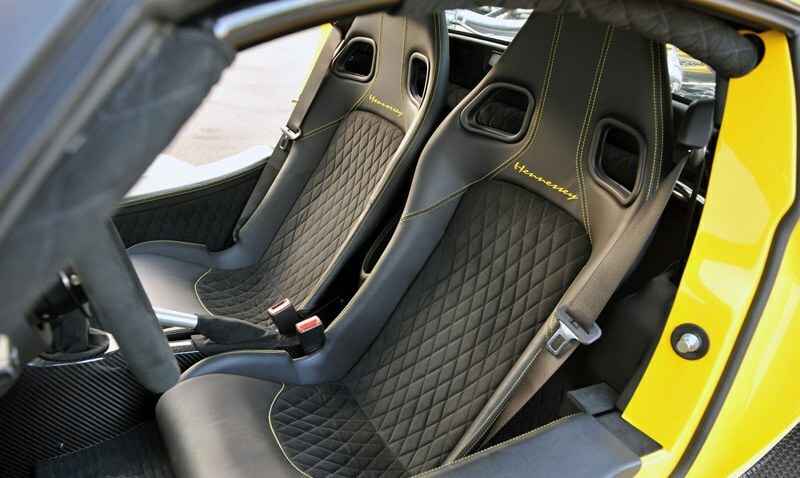 Alcantara leather lines the inside of this supercar, from the panels, seating, and the steering wheel. Giving it a more than a muscle car look. It does have AC, AM/FM radio, and yes even a docking station for those with iPods. An added feature is the removable steering wheel to aid taller folks easier access getting in and out of the car. 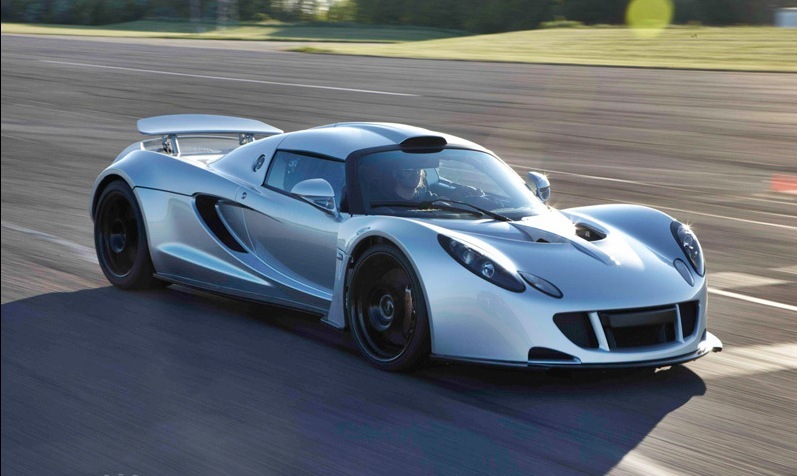 The Hennessey Venom GT has few peers, some try to come close but few do. During a â€œshoot-outâ€ in 2007 to find out who reached the 200 mph barrier the fastest, the predecessor of this current Venom, the Hennessey Venom 1000 twin turbo found itself stacked up against the Bugatti Veyron 16.4, Lamborghini Murcielago, Corvette Lingenfelter, the Mercedes Benz SLR McLaren, and the Ruft RT12. Only four vehicles made the final attempt, and the Hennessey Venom 1000 had the best record at 20.3 seconds in reaching the 200 mph mark, followed by the Veyron at 24.2 seconds, then the Lingenfelter Corvette at 26.5 seconds, and finally the Ruft Rt12 at 35.5. 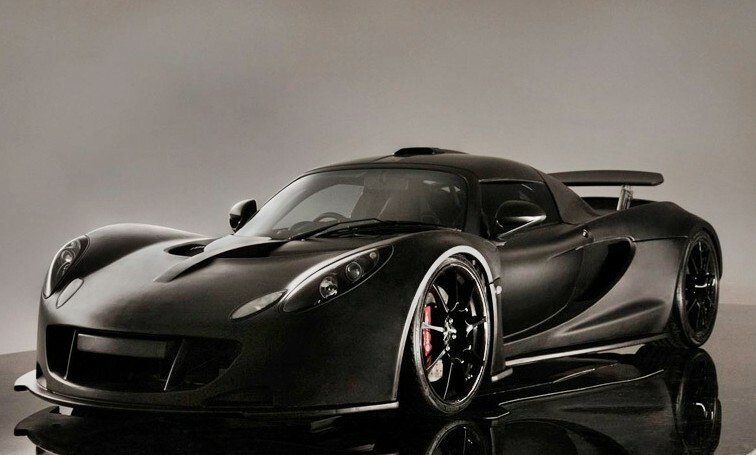 The 2011 Hennessey Venom GT with 725 horsepower is priced considerably less than the 1,200HP version. Total production of the car is limited to 29, with only 10 units made per year. For 2012, only 5 vehicles will be made, they require a lead time of six months to build one unit. 1.Hennessary Voncon Gt #2 : The Fastest Record Top Speed of Perforance is 266 M.P.H too! Of Second Place of top Ten fastest Supercar is fastest Speed Records to true!!! The speed is mention is not True ! Is 9 miles Faster too! is 275 M.P.H too! is false too! The top Speed is 266 M.P,.H. True is fact they tested it too! Tested by the Stright Run too! By The Battle of the Supercars Telivision Program on T,V. Shows too! is True!!! Top Speed Records true it is! Facts are There too! They Test Them to Maxium top Speed too! The Maxium Speed is (266) M.P.H too! Second Fastests world Speed Record too! Facts is tested true!!! The hennesy is the fastest car in the world. Top est. speed of 278 fastest recorded of 270. Maby The BBC Brit verson will pick up on this car and run it against the veron. I’D Like to know. So If The BBC is still around top Gear do us a favor run the two dam cars side by side. Hope your up for a challange Jeremy C.
aha! hennessey took a lotus and made it a supercar. kinda like when shelby takes a mustang and makes it…well…a shelby. My favorite car has a lotta haters. So? One day, I’ll work for Hennessey and then I’ll design something out of all cars I know, people won’t even recognize it!!! By the way. You can’t blame ’em for using other cars as the frame. That’s why I like it. Lightweight plus High Power = total mayhem. I mean, the only thing I need from Hennessey now is a better interior which they made all by themselves. Which means… I must draw the perfect interior for the Venom. So long, fellow car fanatics! Mr. Pagani youre wrong so bad on that because they take a super lightweight car infuse that car with one of the most powerful engines america produces, adds so much power that it has just as much as a bugatti, but being so lightweight of a car it goes much harder to higher speeds than a bugatti, or any other car for that matter. this car should unseat the bugatti veyron, whether most bugatti fanboys like it or not. 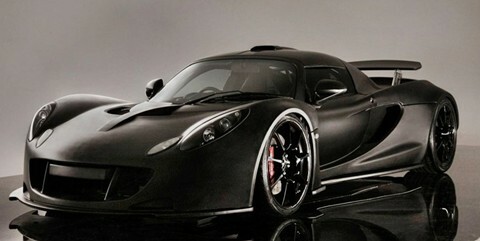 The Hennessey Venom GT is an outstanding car! One of my top 10 favorites but I have to hand it to the Bugatti Veron!! My most favorite car. wow what a horribly way to represent america, stealing the elise design and having vette zr1 engine takes no skill to make at all. I know that this is an awesome car in all (2nd fastest car in world the world at top speed and acceleration), but could they go without copying off of Lotus? Something tells me they need to update the fastest cars list. One run around the VW track, and the Bugatti will be begging for mercy. Still, the Koenigsegg Agera R poses a challenge. Should race this on the new top gear! It can beat the veyron. I know it.